The zen of a coin is not the same thing as the zen of money. A coin is a very simple object, money a concept that represents a collection of objects, usually coins and dollar bills, but also checkbooks, bank records, stocks, IRAs . . . your “portfolio” so to speak. Most of the time coins do not attract much attention. Money, on the other hand, in just the right setting, turns heads around, especially where ever there are opportunists, philanthropists and investors. Much of what we assign values to cannot be well represented by coins. Coins symbolize a very small amount of what those objects are worth to us, for the most part. Coins are the kind of things that may sit on top of your dresser, desk or table . . . for weeks, months, perhaps a year . . . waiting to be seen, to be recognized for their worth. As single objects, coins mean very little to us. In groups, they can serve a number of purposes throughout the day. They can make a day fair better, or turn half a day into a wholly productive day. They can serve us simply just 10 minutes, providing that coffee we need or that candy bar we’ve walked by each morning and afternoon and deliberately skipped. Money on the other hand, being unlike coins, can mean much more to us. Money is worth more than our daily supply of foods, snacks and toiletries. In the least, money can be represented more by a 20 or 50 dollar bill. That’s money worth spending in just one day! Even though it the bill note can be folded into fourths or smaller, or about the size of a quarter or dollar coin, there are more places and more reasons to make good use of that piece of linen cloth/paper we refer to as money instead of coins. Rather, it lets us take advantage of where ever we are, be it a pub, a diner, the local corner store. Money means a heck of a lot more to us being spent, than just sitting there locked up in our personal safe or bank deposit box, rarely on display, rarely ready for use. Given enough of these bills however, and we suddenly go in the other direction with this money, spending it in new places or storing parts of it in several hiding places we try to rarely make use of–that place where you keep your extra gas money for the care just in case, or those few big bills for emergency spending, like when you need to pick up some donuts for tomorrow’s breakfast or tonight’s group meeting. You place this money into hiding for a reason. It remains in hiding because you know you will need to use it later. It is always there (or so we hope), like that security blanket you once needed as a kid to make sure you were comfortable with where you are and where you’re going–to sleep. We obviously attach more value and meaning to having money, versus just having coins. The appearances of coins and money are also very interesting to make note of. There is something philosophical about the way each of these look. Coins can be made up of metal, wood, bone, but are often converted to a value on paper. Money that is only paper we like to convert to things that are much more visually satisfying, like a house, car, recreation vehicle, a brilliantly colored gem or crystal, an object that we can attach great value to when hard times come. Something like an intricately carved diamond is a common fate of that money we hoarded for whatever reason. Or some highly expensive antique relic from the Civil War, from China, or from the most important days of someone else’s life. We also tend to covert this money into signs of who we are–our wealth status–like when we use it to get our first sports car or a yacht to travel in. If we are into investing, we may use that money to invest in some expensive property, symbolizing some path we are on, becoming a financially successful landowner. In terms of shape, when physically describing coins versus money, a coin is something that normally has just two sides to it, which unlike paper currency has a distinct edge that must be crossed to make our way to the other side. In contrast, there is no distinctly marked surface on the edge of most money, be it on paper, in record form or symbolized electronically. For this reason, in the business community, money excels over coins most of the time. One way or the other, we make more of our big decisions about what to do with money with more money, than the decisions we make about what to do with the coins in our pocket, which we might simply dispose of and forget even that they were once there. Who ever remembers each and every one of those coins that were left behind for spare change to the person in line behind you, or to a musician playing on the street, or to a person with his or her hat laid out there just right for you to toss it in. People rarely search for and obtain coins,. When we get home, we empty our pockets, and may not search for those coins again for quite some time. Even then, we suddenly need it for some short fix we have to fill a need for or because we need to cash it in for that intermediate to long term goal use for it that we had in mind. This thick copper coin that I have is more than just a form of money that made its way into my pocket in 1991. 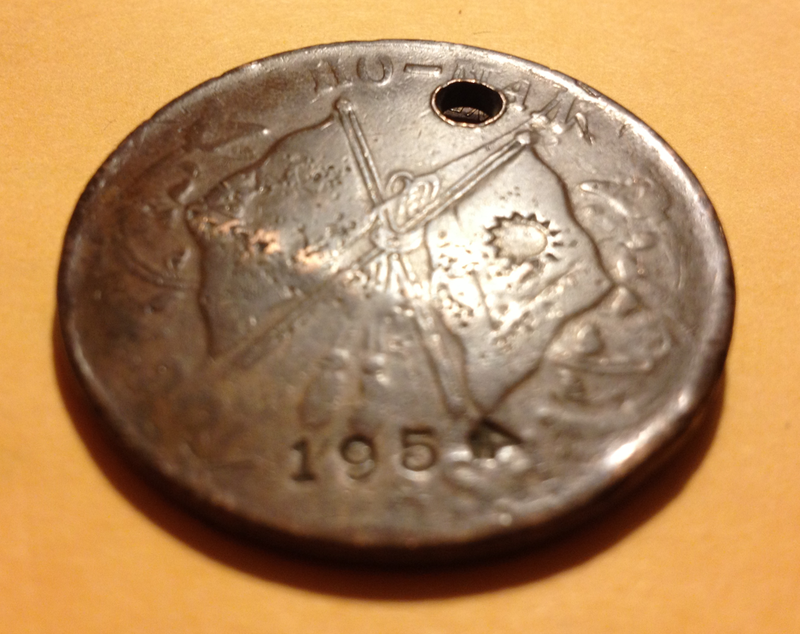 After makings its way into someone’s else’s pocket in China back in 1954, this coin managed to travel the world. It was probably in some foreigner’s pocket during the prior years as well, as far back as its original date, 1928, when it was freshly stamped and distributed for use as currency. But this money went everywhere possible between 1928 and 1954, the date manually stamped into it. And even after 1954, it made its way at least halfway around the world, at least once. At the time the second kind of owner of this coin possessed it, it considered it to be a good luck charm. He was told to carry it with him wherever he travelled in the world. I say he because I think I know the “he” who once owned it. But it may have been bought by her, for “her.” And he and she who owned it, thereafter carried it for good luck, to make a wish with; they carried it for their survival and good health wherever they went. I say this because the artisan or salesperson selling it was asked to stamp it, with both a name and a year for memories and for good luck. I know it was stamped by a person barely literate in the European language, someone not at all familiar with some of the most common figures jotted down on paper to symbolize something else. The meanings of numbers are universal, yet this person who stamped a number into a coin, did not know how it was supposed to look. We can tell this because the ‘4’ in ‘1954’ is stamped sideways. The artisan who stamped it probably could not read English or understand the symbols that represent its numbers. Now, if you were a habitual traveler or a tourist, and you purchased this coin more to serve as your good luck charm for whatever you were doing, how would you take this sideways ‘4’ stamp? As a symbol of bad luck, or maybe the salesman said that it actually stood for good luck. What do you do? This second use of this coin, as a good luck charm, was very different that that of it prior owners. 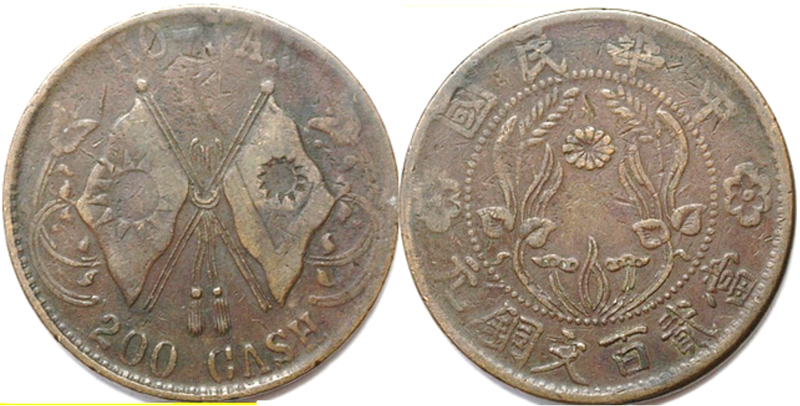 Based on the year that this coin was originally minted, and the place identified for its original stamping (Ho-Nan), the people it was meant for were experiencing a considerable amount of political unrest at the time. In the years that followed, it would become even worse. In existence since about 1919, there was this new socialist view known as communism that made this coin go away. It lost its value to its people due to communism. Everything that it once stood for no longer existed in the new China then developing. This is also what this coin represents. Communism, developed in direct opposition and response to capitalism. When Shang-hai was placed under British control in the late 1800s, and the Samurai was considered a threat to the ideal governing system British plans had hoped for regarding economic development, Hong Kong was formed, its name sake symbolized he merging of to families, Hong and Kong, both rulers once of large parts of China. With industry and manufacturing soon to grow in New China, it was felt that local agrarian societies could soon be no more. They formed the mainframe of this country and now were being threatened by industry , by capitalism. This is why communism and its lesser held socialism had to take over these parts of the world at the time. The economic growth that ensued in China, next to Hong Kong, as the industrial revolution began, turned Agrarian China into an Industrial and Factory-based Agrarian China during the early 1900s. Those who feared such a change were right. China was no longer traditional China. But neither was it the China they wanted it to become–communist or ideal socialist China. China was now industrial China, with all of the factories and wheels to turn, cables and chains to pull. Traditional China was no more, at least to local. But to travelers, it was still traditional China, as told to use by the meaning of its Good Luck Charm. In 1906/9 coins were being stamped, no longer taking the form of past monetary pieces considered symbolic of what wealth was worth. They were no longer plugs of gold, or horns of ivory. They were no longer just full sized ginseng roots, or narwhale tusks (“unicorn horn”), or masses of medicinal guano or bird’s nest sputum, or shark’s fins. Money was a rolled out piece of metal which was stamped, to which a make-believe value was assigned. Hong Kong is a place name formed by the merging of the two gangs in charge of local businesses. During their first decades of existence, these coins survived numerous trips around the country, as a symbol of capitalism. The coin could also considered so symbolic of communism due to the meaning of the metal it consists of, the opposite of products made by members of the local agrarian society. When this coin was stamped, the use of metal to make large coins was uncommon for China. Metal was more often used to to make purposeful metal objects like a helmet, a sword, or staff, things that symbolized one’s value and purpose in society. But the use of something as precious as Brass or Copper to make objects symbolized that was otherwise non-functional. This perception did not rest well with the very poor families of rural China. Moreover, now Shang-hai was called Hong Kong, and under control of the British. Its immediate residents benefited from such a sign of wealth, but not the farmers living within agrarian settings. The people of old World China disfavor the role of the coin in New China. As China underwent this significant change in its family define oligarchy, its society split into two parties. This allowed the roots of communism to take hold. Rich people with their signs of wealth quickly became a threat to the nation. The small numbers of traditionalists developed their following. The war between farmers and the wealthy began, as capitalists cashed in on this exchange. In 1949, the China National Tourism Administration (CNTA) formed, another result of capitalism. In 1954, the China International Travel Service formed, with offices serving each of the country’s major cities. In 1949, Taiwan also became a country, as Mainland China was converted to Communism, and the leader of Chiang Kai-Shek expelled to this island for isolation and safety. In Taiwan, he formed his own version of the Nationalist government of China. In 1954, this island was under the protection of U.S. military to keep it safe from the forces affiliated with People’s Republic of China. To coin collectors, the older the coin is, the more value it represents to a collector. But the coin discussed here doesn’t fit exactly into this paradigm defining what an old coin is worth. The older a coin is, the more experiences it represents. Therefore, the more meaningful it becomes for those who collect. However, there’s nothing like having a single coin that you know has taken more steps than you ever could during the course of its life. This coin had this meaning to it first owner outside of China–the individual whose name was stamped onto this coin on its other side. On the back of this coin is stamped “Robert Livingston”, something we don’t normally expect for a coin from China. I have absolutely no proof that the name stamped onto this coin is the name of who I claim might have been its owner in 1954. But if such is the case, then one has to wonder ‘how else might such a stamping happen during this time in Sino-American history?’ How would someone be able to take this trip to this newly opened route promoted by the International Travel Service, other than some with just the right form of curiosity and inner desires to visit such an unstable cultural and sociopolitical setting. And to add to this notion is the significance of the name on this coin. Either Robert Livingston, or a follower of his philosophical teachings, was the owner of this coin before it ended up in a numismatics shop in Portland, Oregon. Portland, Oregon is an urban region where complementary-alternative medical philosophy prevails. It is where naturopathy was kept alive. It was one of the first sites for the first schools developed to chiropractics. It was a city with the last remaining practicing homeopathic hospital in this country, with a board of MDs certified in this special training. It is also the first place where the first Zen Buddhist instructor in the United States settled down, and brought Zen thinking to this city on the Pacific Rim. I have this knack for finding things, and so as time passed, the meaning of this name and the history of this coin slowly began to make sense to me after a couple of decades of storing it in my desk drawer. For one thing, the way that I came upon this coin and discovered its history is itself a unique story. Living close to downtown Portland, Oregon, every now and then I took the light rail train into the outskirts of the city, where I would get off and take a walk along the streets heading towards the various neighborhoods in Portland’s suburbia. Along these streets there are often parks with hiking trails, a few interesting used clothing stores, an occasional book store, antique shops, etcetera. One day, on one of these strolls, I passed the coin shop. Being a coin collector when I was a child, I went in to see what the storekeeper held. My main interest at the time was in medical history and any health related trinkets he might have. Included in the coin display was a rack full of trinkets, including this exceptionally large coin. I cannot recall which face of the coin could be read, but once I saw this coin I asked the store owner to see it. Removing it from the display case, he handed it to me, protected in those square shaped cardstock coin holders. The name was showing on one of its sides, and so I asked the owner why does someone purchase an old coin with his name stamped on it? why was it now a collectible? He told me that he suspected this coin might be a result of commerce along the Pacific Rim, and that the name had something to do with the most famous Missionary of all time–James Livingston. However, this coin caught my attention for the exact same reason–except I related it to the Livingston family in New York. The name “Robert Livingston” that was stamped upon it reminded me of this most important family in eastern United States history. When I told him my take on this name, and its relation to the famous missionary family. How did it leave China? I was wondering. How did it makes its way here from China, during a time when the Great Wall was fully in place? A few minutes later, I left it with this coin in my hand. In the late 1980s, early 1990s, there was no internet available for me to research this coin with. So I went to the town library to look the Livingston name up and relate him to the missions in China, and found nothing. Next, I went to the genealogical society. 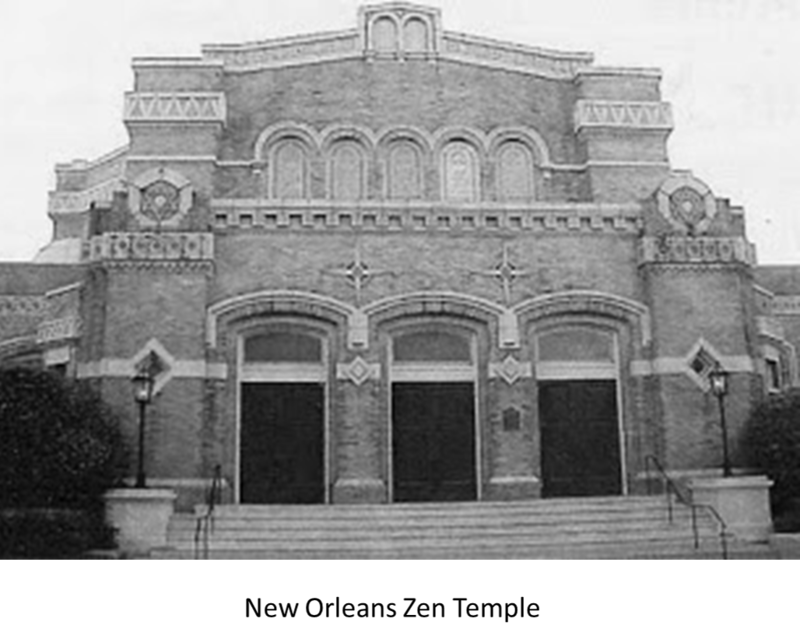 I then followed this by the Seminary Baptist School I resided next to. I again found nothing. The missionary writings this library held did mention a lot about the Livingston family, and its Missions in Africa and elsewhere. But little mention was made, if any, of the state of the missions in China and certainly nothing about a ‘Robert Livingston’ working for these missions. A few weeks into this study, I put the coin away in a small cedar box kept in my bedside drawer. I studied it no more. All of this happened more than 20 years ago. The other day (in 2013) I came upon this coin again, and typical of my work is the happenstances this seemed to take place. While rummaging through some of the boxes of past belongings I stored away due to three or four moves this past decade, I rediscovered the small box of medals, knick knacks and the ‘the Livingston Coin’. To me, timing is everything when I make certain discoveries. I decided it was time to look this up again on the internet. So, I re-initiated my old search project trying to identify who “Robert Livingston” was. After just a few minutes, I determined that there were two ‘Robert Livingstons’ out there whom could be associated with this coin. Most interestingly–one was still alive. The first “Robert Livingston” was a famous western Actor, commonly called “Butch”, who was popular during the mid-1900s. The second one was a man fresh out of the military, someone who had just served in the United States military and who was stationed in Korea and Japan from 1951 to 1952. A quick review of these two people’s brief histories told me that this coin possibly belonged to the military man–none other than 21 year old Robert Livingston, who was fresh out of war in 1954. Following his service in Korea and Japan, Robert Livingston spent his first years after touring the world. It was probably during his months of service in Japan that he was first exposed directly to the philosophy of this setting, in particular its most important piece of military history involving to the Samuria traditions. The ignited the spark in his mind that was needed to expose him to the teachings and philosophy of Buddhism. About the same time Shang-hai became Hong Kong, Samarai was removed from Japanese culture and government history. The Samurai played an important role in the political battles that took place between families in Japan. There were a number of families trying to retain their control of the role of the Samurai as protectors and aggressors. By applying a number of unique military styles to their teachings, wearing a dress style that was unique, their means of survival remained very effective until technology intervened, resulting in invention of the Gatling gun. The few survivors of this tradition left behind their philosophy and ways of living. Because their philosophy remained alive, it produced newer versions a more fitting version of this belief system, capable of meeting the needs of western tradition and culture. Zen Buddhism was then born. But not as a way to live as a military fighter, but rather as a way to live the life of a pacifist and humanitarian. This new philosophy had its few followers. 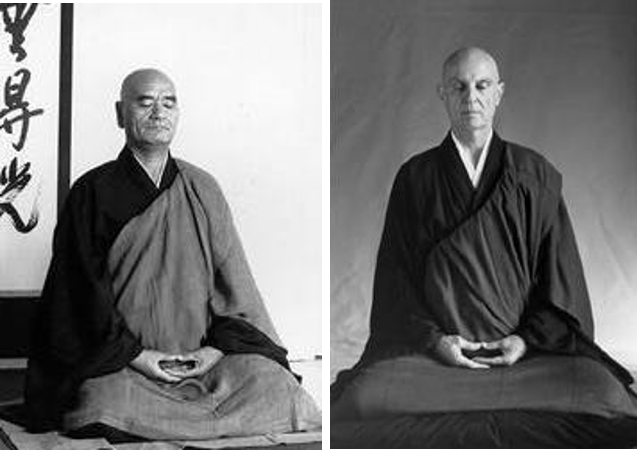 Some of the began to spread the word and philosophy of Zen to the rest of the world. It was also during this time, that Robert Livingston was enrolled in the military in Japan. While he was in Japan, he was probably exposed to this side of Japanese history and the Samurai, Japan’s most famous military team. Robert Livingston cold have brought this knowledge back with him to the United States, and to the core of Wall Street, where he returned to work once his military service was over. Or he could have let it pass. 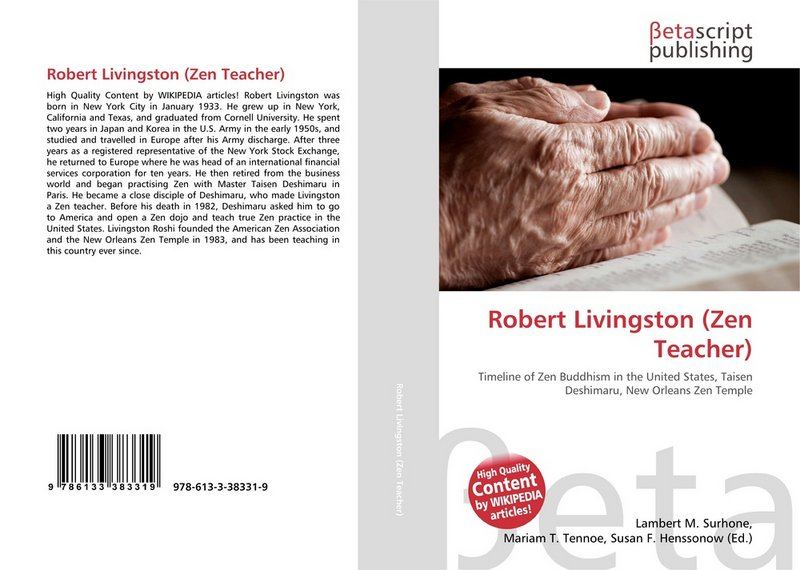 But by learning more about the philosophy and traditions of these zen Buddhists, Livingston had his first taste of Zen Buddhism. In 1954, two decades after his service to U.S. military, Robert Livingston took a tour of China. It was during the 1950s that Mao Tse Tung began defining his “Red China”, an agrarian society in need of a national government and economy that the citizens would live by and believe in. His goal at first was to eliminate capitalism. From 1949 to the early 1950s, the value of currency in China was nearly extinct. Were it not for the onset of a war with Korea in 1950, this event would have had an even more diminishing impact on the poverty striking China. The Sino-Korea War helped stabilize relationships with China, which in turn over time was redirected towards the Republic of China on Taiwan, as early as 1946. When Robert Livingston came to China in 1954, like any tourist he came upon some items for sale on the street. At the time there were the few visiting China, and so his presence there is in itself a unique experience to wonder about. This coin would have been a part of the popular ideology for the time, buying it for use as a “mojo” for good luck and such. Need I say few these years weren’t the best of years for China. The 1950s was a time when Mao Tse Tung began gaining control of the Chinese people, as this country became communist. The year when this coin was struck, communism barely existed in China but developed its strong hold next door in Russia. During the next 16 years, as communism grew in Russia, the knowledge and philosophy of this way of living flowed over the borders into China, slowly capturing the interest of country leaders. To communist leaders, the capitalism practiced in Europe and the United States was considered the product of money, a symbol of an evil world. In 1938, China’s first attempt to enter the capitalist world was symbolized by a conversion from a paper money to coinage, and this fairly large, weighty coin made of brass as a material object diminished greatly once communism came to China. By 1954, it became little more than a trinket, worn as a tourist’s symbol of where he or she had been to travel, with something special stamped onto it by the merchant or artist who sold it. Symbolically, to a weary traveler in need of a decision, a coin serves as the means to choose which way to go — “heads go right, tails go left”, or vice versa. Due to its stamp, we can say this coin was probably sold to Robert Livingston during a visit to China. At the time, it served mostly as a good luck charm for him as a traveler, or something more? The travels he took were during the period when communism was taking over. Very few tourists made their way to through China during this time, I was told. 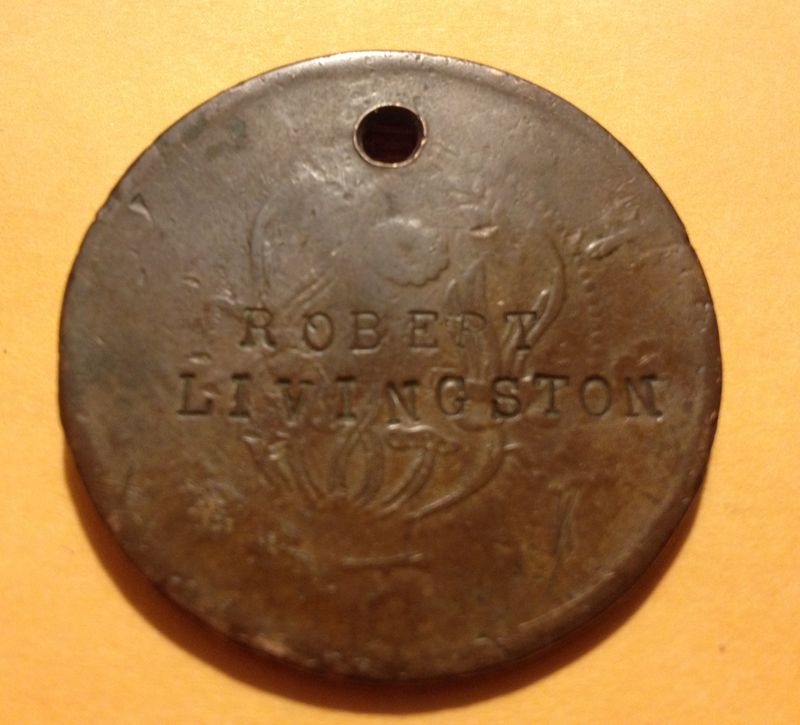 But after Robert Livingston purchased it, this coin became something special. Since he was young when he purchased it, he probably bought it for memory’s sake or perhaps for good luck. Alternatively, he might have received it as a gift from someone else he knew, residing in mainland China. 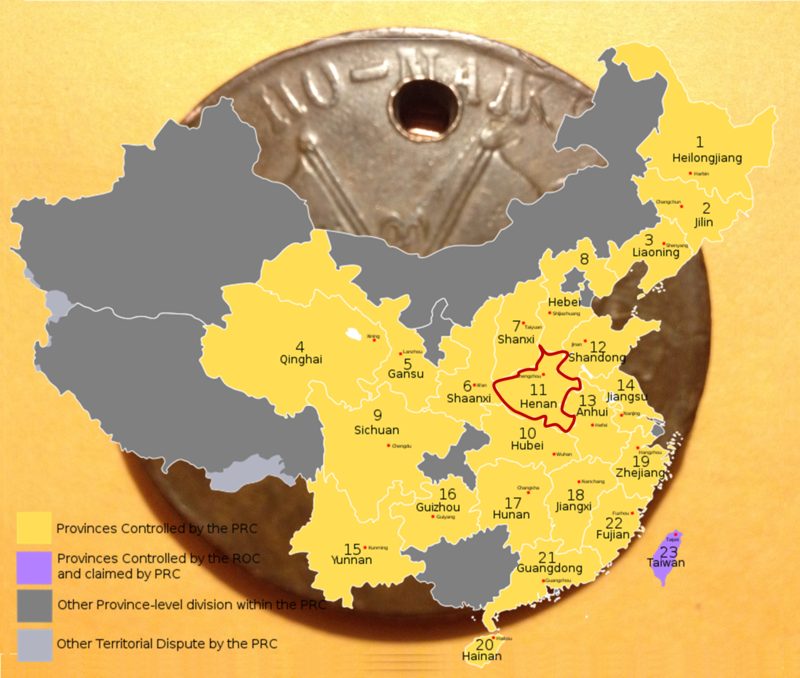 The Chinese Province of Ho-man was where this coin was stamped. Did he travel to Ho-man (Hunan)? 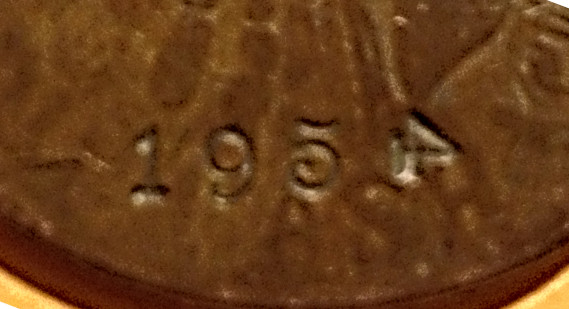 Based on a simple review of the Livingston Family in relation to China, only one thing pops up that help to explain the reason he had this coin that was stamped with his name and ‘1954’. More than likely the Robert Livingston noted on this coin is none other than the Robert Livingston now practicing and teaching at a dojo in New Orleans, Louisiana. 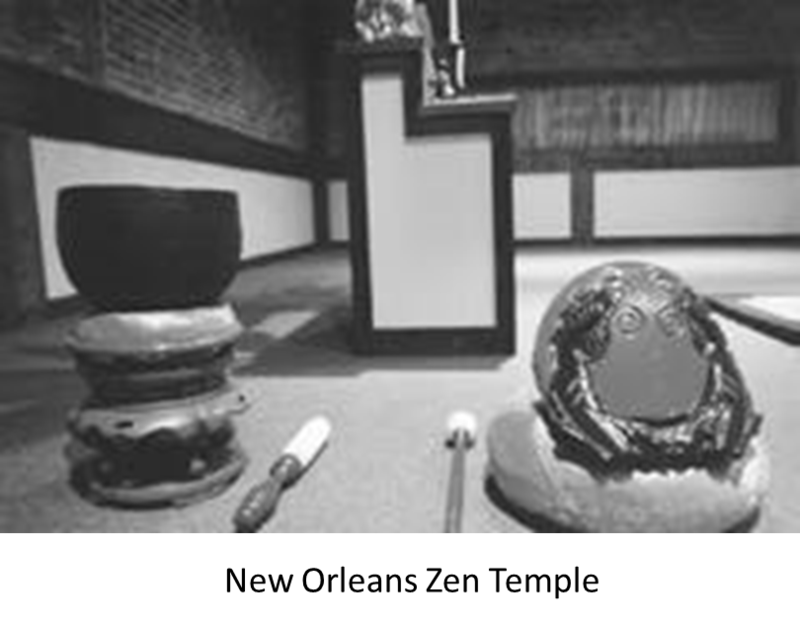 The dojo in New Orleans, and its founder Robert Livingston, are most famous for introducing Zen Buddhism to modern society within the United States. Following his purchase of the souvenir coin in China, symbolizing his post-service travels across Europe and Asia, Robert Livingston returned home to New York. He then began his lucrative career working with stock market companies in New York City. He was about 22 or 23 when he began this venture into capitalism, a tradition of the Livingston family. Most likely, his memories of his service in Korea and Japan were with him throughout this time, and the places symbolic of the problem according to communist teachings. In spite of his prior experiences, Robert Livingston remained an employee of the capitalist world, at least for a while, until he reached his retirement years, then he converted–heart, brain, life and soul. Following retirement, Robert Livingston moved to France. In Paris, he met up with an important leader and monk, Taisen Deshimaru Roshi. 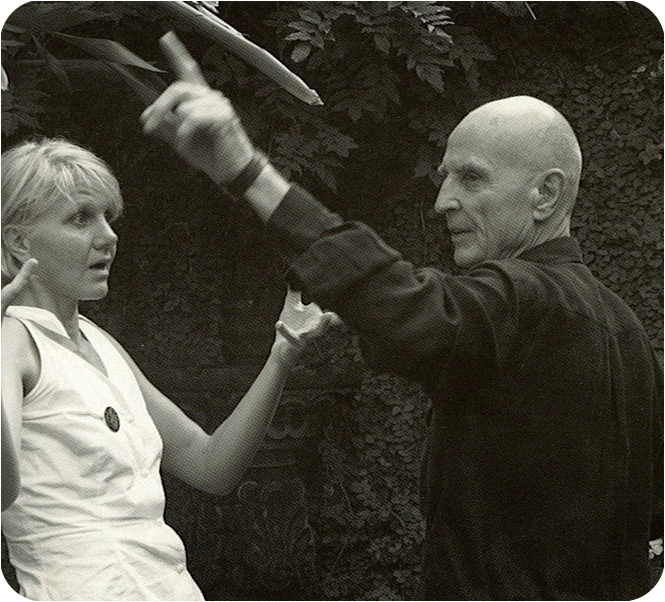 A second line Zen teacher, Taisen Deshimaru Roshi trained Livingston in Zen Buddhism. During his dying days in 1982, Taisen Deshimaru Roshi recommended to fifty year old Robert Livingston that he return to the United States to promote the teachings of their lineage of Zen traditions and philosophy. Robert Livingston removed to New Orleans, Louisiana in 1984. Soonafter, he opened a dojo and began teaching his unique form of Zen philosophy. That same year,, he started a national organization devoted to this philosophy. The Side of this coin not Visible. How this story came to be is uncertain. When Robert Livingston transformed his life from that of money to a life devoted to Zen Buddhism, the value of his souvenir coin changed. The coin was then a physical object, and no longer necessary part of his life. Somehow it made its way into the hands of someone else, perhaps a follower or a Pacific Northwest Buddhist. And then it went to another soul and then another perhaps, before it came to the coin shop I purchased it from sometime around 1991 or 1992, just a few years following the opening of the New Orleans Zen Buddhist center. Following my purchase of this coin, I set it aside for quite a while, and it remained in my reserve so to speak. I brought this coin from Oregon to New York in 2002, and then to Colorado in 2004, and then back to New York in 2010, and now finally into this story. In a Zen sense I believe–the purpose for this coin and its happenstances were for me to tell this story, and so I did.